Schneider 95SSLR-4.5" Set-Screw Locking-Rings (SSLR) permit you to attach large filters to wide angle zoom lenses without vignetting. The SSLR slips on the outside circumference of the lens barrel and is firmly secured by an internal screw. It should be noted that Schneider also makes Direct Screw-on Adapter Rings that provide convenient access for Series 9 and 4.5" drop-in filters. 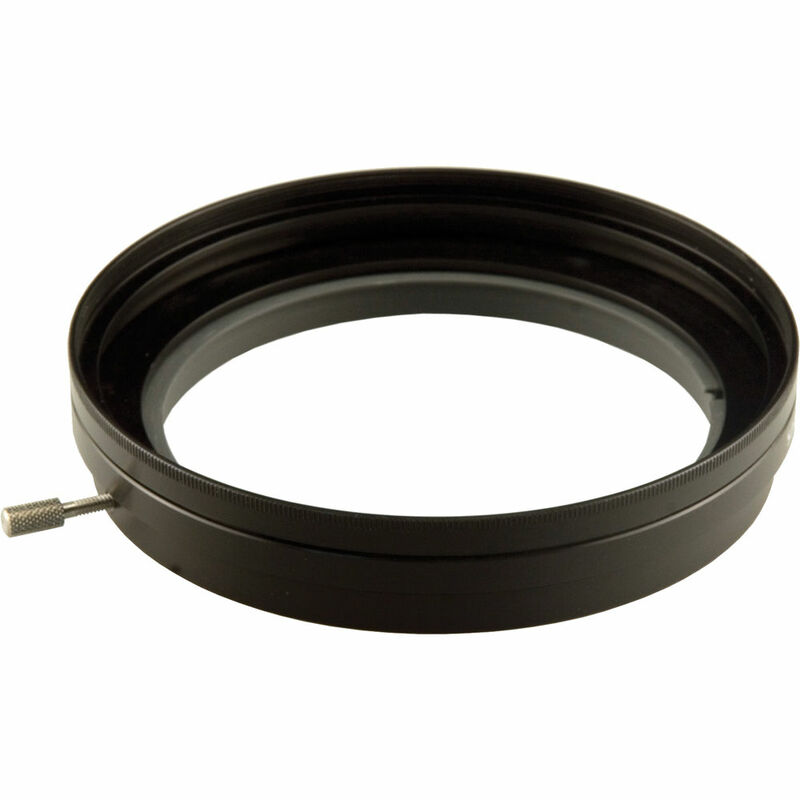 Schneider Direct Screw-on Adapters, sometimes referred to as step-up rings, are mounted directly to the front thread of the lens and provide access to a universal or larger-size round drop-in filter. Both Adapter Rings and SSLRs are precision manufactured using high-grade aluminum and are coated with a black anodized finish. Note: When using any brand SSLR adapter ring, the lens shade provided by the lens manufacturer cannot be used. If you must use your lens manufacturer's shade, select a Schneider screw-on filter.